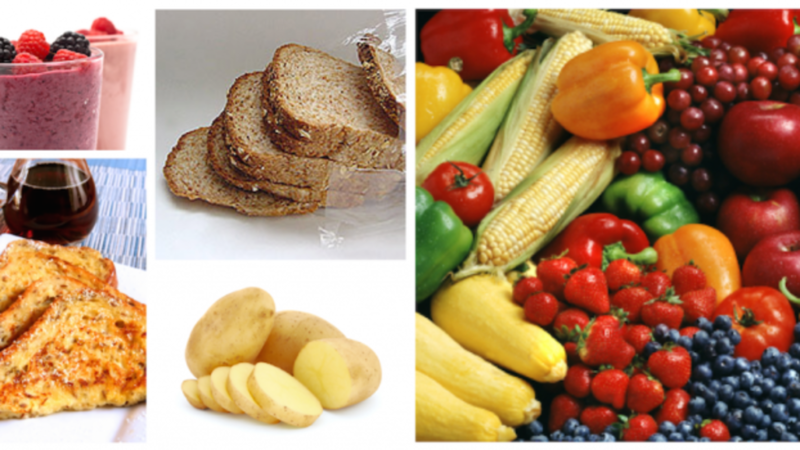 Mark Macdonald: Carbs Are Your Friend – Maximize Your Energy on the Court! Now, I know the word on the street may be that carbs are the enemy to your metabolism, but I have some breaking news for you. Carbohydrates are your friend and will help maximize your energy each match! That’s why I’m writing this article, to shout to the world that you must eat carbs if you want to achieve your health goals and have never-ending energy on the court. As I shared last week how you must Eat Fat to Burn Fat and Get Faster on the Court, this article builds off the theme from last week of optimizing your food and connects perfectly with our 5 part series of Eating Like a Tennis Champion. Let’s dive in and explore the power of Carbohydrates. It’s super important to remember every meal needs to be PFC balanced, which is eating a balance of protein, fats and carbs every 3 hours. This keeps your blood sugar balanced and your metabolism rocking! If you want to read more about PFC Every 3, check out this article. Now you know the facts about Carbs, so the next time you feel your energy dropping on the court, make sure you remember that Carbs are your friend and they should be part of every meal you eat! This will give you the energy burst you need to win those final tough points of your match. Get ready for next week’s article, it brings everything together, we’ll be diving into the Power of Protein – Build Strength and Recovery on the Court.